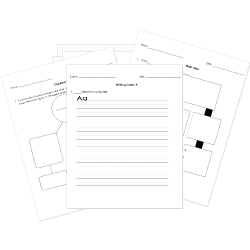 You can create printable tests and worksheets from these Grade 5 Boneshaker questions! Select one or more questions using the checkboxes above each question. Then click the add selected questions to a test button before moving to another page. Zeke finds his Mother Briar and helps her escape. Where does Zeke get a new mask? Why is Zeke surprised to find out Swakhammer knows where his mother is? Where does Briar see Levi? What color is Briar and Leviticus' old house? How does Cly know the ship the Clementine? Who takes Briar and Zeke away from the city? Where does Briar take Zeke? Where does Zeke meet Swakhammer? Why must Lucy go see Dr. Minnericht and why does Briar need to go? Why must everyone leave the bar? Where does the princess take Zeke to get out of the city? Who agrees to take Zeke to his parents house?